Spurs defender to make permanent North East switch? | The Transfer Tavern | Where football transfer rumours fly or die! Spurs defender to make permanent North East switch? It’s almost time for New Year at the Football Transfer Tavern and one player who could be set for a fresh new start altogether is Tottenham’s Danny Rose who is set to make his loan spell with Sunderland permanent, according to the Sunderland Echo. The 22-year-old left back has been on loan at the Stadium of Light since August and has enjoyed something of a more consistent spell, starting 15 times for Martin O’Neill’s side in the Premier League this campaign. Regular football was something the Team GB star of the summer wasn’t getting at White Hart Lane and despite a wonder strike against Arsenal in April 2010, Rose hasn’t really progressed as he would have liked at Spurs. 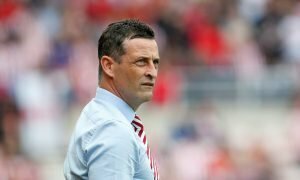 Sunderland are hoping to use this weekend’s home fixture with Tottenham to raise the issue about making the deal permanent and it is understood that while Spurs have injury concerns of their own with Benoit Assou-Ekotto still on the sidelines, they will still be willing to talk. Black Cats boss O’Neill said: “Spurs are up here this weekend and there might be a chance for some talks or at least a conversation. Should Rose stay at Sunderland to progress in his career? Vote in our polls below.